World Map shows location of top ten countries with with highest No. of Murder rates. While Honduras is at top spot with 82 No. 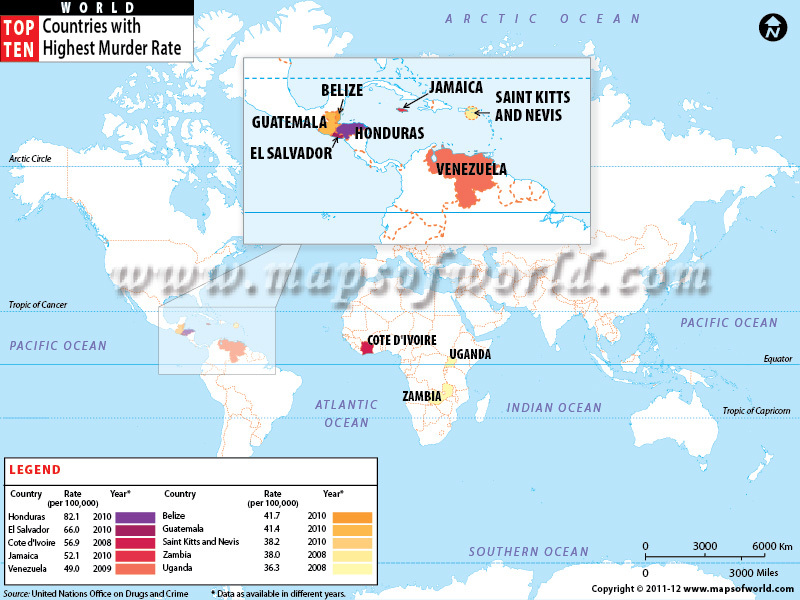 of Murder rate and number two is El Salvador.